IFE’s Research Theme, Growing the global bioeconomy, addresses real-world challenges in the agricultural sector, such as increases in profitability of bioeconomy industries, sustainability of bioeconomy inputs, and increased health benefits from food. 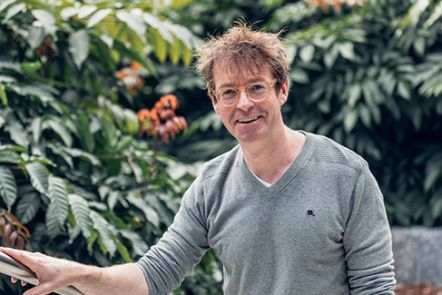 In this video Professor Roger Hellens discusses his role within IFE's Research Theme Growing the global bioeconomy, which studies how plants, animals, and microbes can make beneficial impacts on our environment, society and economy. Feeding livestock is a cornerstone of agriculture, and farmers often need to add multiple supplements and enzymes to help the animals digest and receive maximum nutrition from the feed. 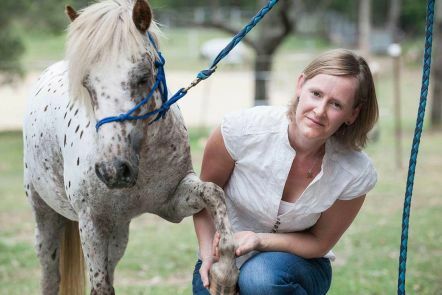 Associate Professor Robert Speight is leading new genetic research that will enhance nutrition for livestock and reduce costs for farmers and graziers. 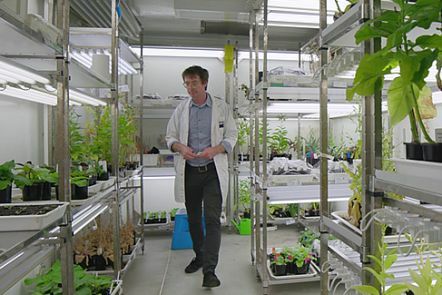 Professor Peter Waterhouse and Dr Julia Bally have traced the history of the Nicotiana benthamiana plant and discovered a gene that could speed up plant genetics research and pave the way for growing food in sterile environments such as space stations. QUT research could result in a massive increase in Australia's potential to produce and export pulses such as chickpeas and mungbeans. 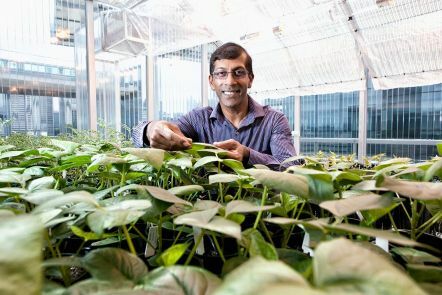 Centre for Tropical Crops and Biocommodities Director Professor Sagadevan Mundree is leading a research program developing drought- and disease-tolerant pulse plants. New varieties of chickpea and mungbean currently in field trials have achieved a 20% increase in harvest index even though they are being given minimal water. 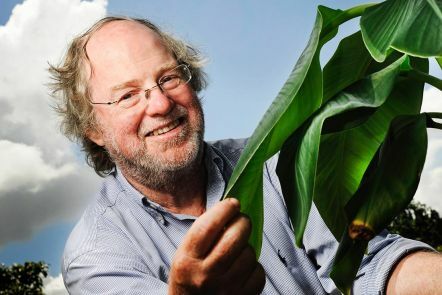 Distinguished Professor James Dale is leading a A$10 million research project funded by the Bill and Melinda Gates Foundation to produce a genetically modified banana with greatly increased levels of betacarotene, which the human body converts to vitamin A. The project, known as 'Banana21', has the potential to ease the suffering of millions of people in Africa and Asia for whom vitamin A deficiency can cause blindness or death. Professor Dale's 'Super Banana', currently being tested in human trials, was one of Time Magazine 's 25 Best Inventions of 2014. Our research tackles the grand economic, social and environmental challenges facing the world this century. Through this research theme, we are addressing real-world challenges in the agricultural sector. Around the world, 1 in 8 people does not have enough food to eat, and 1 in 4 has nutritional deficiencies. By 2050 global food demand is projected to increase by 70%. Around a third of all food produced for human consumption is lost or wasted, yet little of this waste is converted to valuable byproducts. Society increasingly expects agricultural operations to be environmentally friendly and sustainable, but many people are still resistant to genetically modified agricultural products. raising public awareness of the safety and benefits of genetically modified agricultural products. increased health benefits from food. turn surplus biomass into sustainable fuels, chemicals and other valuable products. We are associated with the Centre for Tropical Crops and Biocommodities, which specialises in tropical agriculture research and has international expertise in plant biotechnology, process engineering, industrial chemistry and commercialisation. Queensland Crop Development Facility (a 22 hectare tropical, subtropical and molecular farming research station owned by the Queensland Government and managed by the Department of Agriculture and Fisheries). QUT has Australia’s leading capability in industrial biotechnology and bioprocessing research. Our researchers have specialist expertise in producing high value products including chemicals, plastics and fuels from agricultural waste, and access to dedicated facilities such as the Mackay Renewable Biocommodities Pilot Plant. QUT offers Australia’s largest biofuel production testing facility, specialising in engine performance testing and biofuels emissions testing. 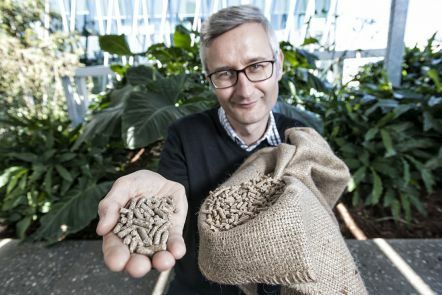 Our researchers are committed to fuelling a greener Australia by continually refining biofuel composition for best performance and lowest emissions. Through sustainable agriculture, purple peapods and red artichokes are now a reality. By using new breeding techniques, scientists can remove weaknesses or include desired traits in plants, such as increased vitamin C or anthocyanin. Mungbeans are a growing Queensland export industry worth around $120 million. Researchers from our Centre for Tropical Crops and Biocommodities are helping Australian growers breed better mungbean varieties. Contact Camilla Roberts, our Knowledge to Innovation Broker, about research partnership opportunities with us.